The Marmot Men’s Calen Jacket is available in Sizes S-2XL. It can be purchased in your choice of the following colors: Black, Blue Sapph and Steel. 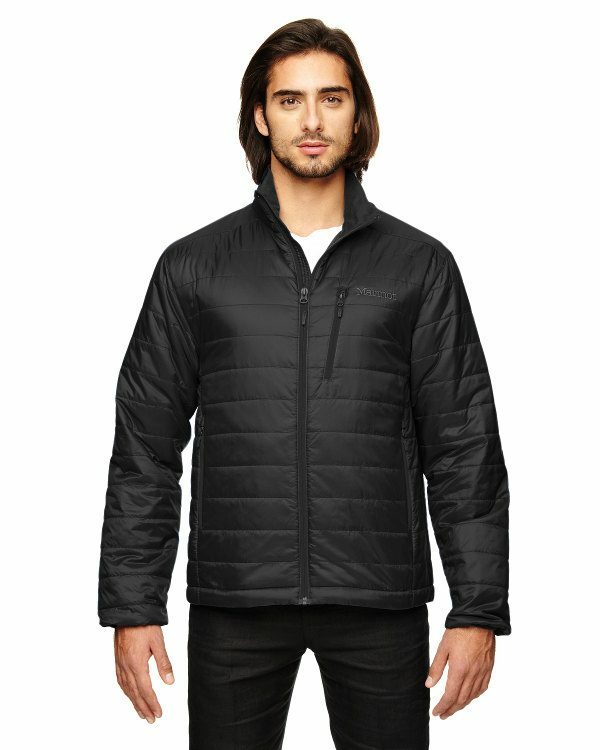 SKU: AB-98030 Categories: Activewear, Jackets, Jackets, Men's Outerwear, Men's Clothing, Men's Jackets, Outerwear, Shop by Color, Black, Blue, Blue Sapphire Tags: activewear, men's clothing, men's jackets, men's outerwear Brands: Marmot. This product must be purchased with embellishment: embroidery or heat press. This Marmot Men’s Calen Jacket is fully nylon ripstop with Primaloft Black insulation and is perfect for active men. This product is a popular Christmas gift. Put one of these under the tree this Christmas for your favorite person.